Details: costume, arm ruffles, bow-tie. The costume is carried out on the basis of the item Т 0005. 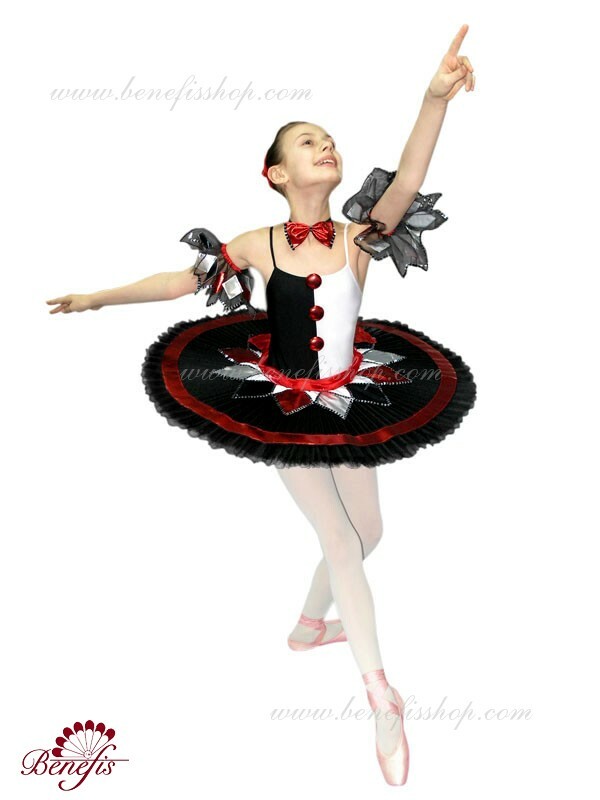 The tutu without hoops is attached to the two-color leotard. 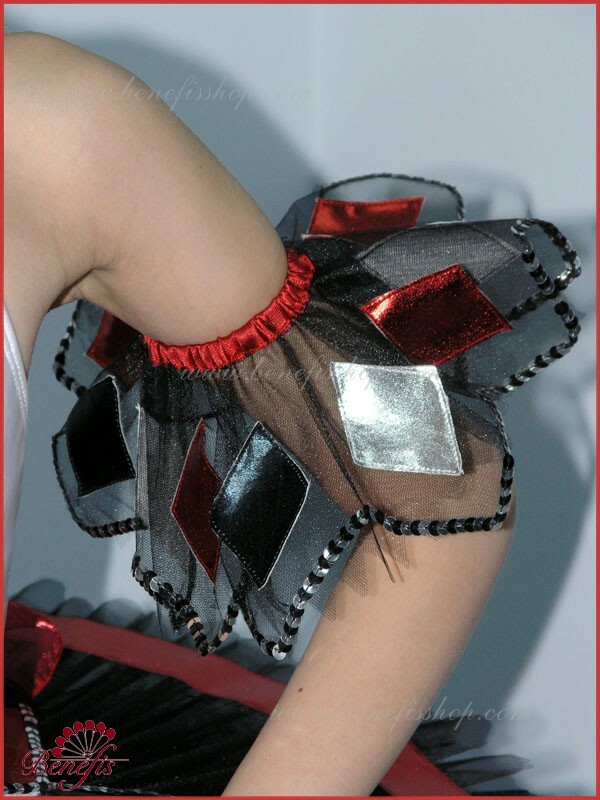 The décor on the surface layer of the tutu consists in multi-colored rhombs. Pompons oh the chest and the bow-tie make this costume perfectly suitable for the well-known Colombina character. 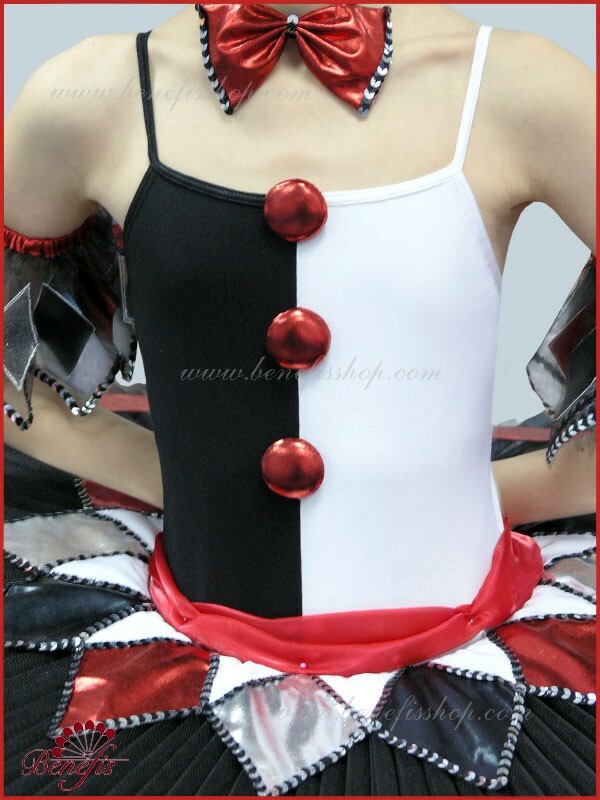 This costume can be also used in “Nutcracker”, “Harlequinade” and many other variations.